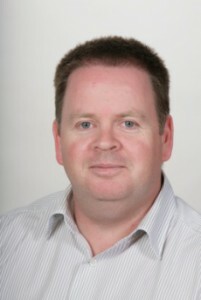 Mr. McAleer is a highly qualified senior orthoptist who has almost 30 years experience in the assessment, diagnosis and management of disorders of the eyes, extra-ocular muscles and vision. He is also very experienced in the pre-operative assessment of prospective refractive surgery patients. Mr McAleer’s trained at the Midland Orthoptic Training School, Birmingham and has worked in the Royal Victoria Eye and Ear Hospital, Dublin since 1985. He has several post-graduate qualifications including a Masters in Medical Science (Orthoptics) from the University of Sheffield. Mr McAleer is a volunteer fellow with the International charity “ORBIS, the Flying Eye Hospital” and has regularly travelled to Ethiopia as part of a programme of strabismus and cataract treatment for local children.